As part of the global commitment to develop a robust STEM workforce for the future, Cricket Media, Inc. and IEEE, the world’s largest technical professional organization advancing technology for humanity, have partnered in 2017 to create TryEngineering Together. TryEngineering Together is a unique eMentorship platform giving companies a resource to mobilize their employees as volunteers to inspire and educate the next generation of engineers, scientists and technical professionals. The new platform leverages the deep STEM knowledge of IEEE and Cricket Media’s award-winning STEM content. 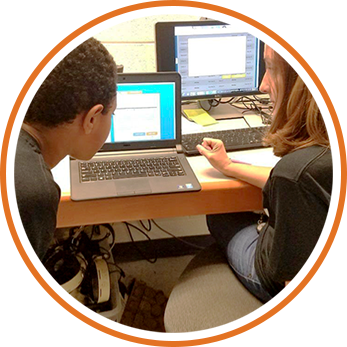 TryEngineering Together is modeled on the CricketTogether eMentoring platform, giving companies and their employees meaningful volunteer opportunities to engage online with students and teachers in grades 3-5, particularly those in economically underserved communities. The program’s design is simple and designed to achieve results. Students and company volunteers are matched 1:1 in “eMentoring” relationships to create safe, powerful STEM learning experiences. Guided by a curriculum designed to be engaging, interactive and thought-provoking, students and their eMentors read short, timely articles related to STEM subjects and discuss hands-on activities that students are experiencing in class. Throughout the academic year, students and mentors communicate regularly online to ask questions, share ideas, investigate new developments and complete projects together. Because the interaction happens online, volunteers can participate anytime from anywhere. The focus on delivering STEM mentorship in grades 3-5 is intentional. Once students reach fourth grade research shows one-third have lost an interest in science, and by eighth grade nearly 50 percent have lost interest or deemed it irrelevant to their education or career plans. Reaching and inspiring elementary school students is critical to building young people’s confidence and acumen in STEM. Cricket Media, Inc. is a global education company providing award-winning content and safe and secure collaborative learning networks. Cricket Media serves millions of teachers, students and parents in over 200 countries and territories to fulfill its mission to engage, enlighten and educate children everywhere. Learn more at www.cricketmedia.com and visit Cricket Media’s social network pages. IEEE is the world’s largest technical professional organization dedicated to advancing technology for the benefit of humanity. Through its highly-cited publications, conferences, technology standards, and professional and educational activities, IEEE is the trusted “voice” for engineering, computing, and technology information around the globe. Learn more at www.ieee.org and visit IEEE’s social network pages. Powered by © In2Books, Inc. All Rights Reserved.